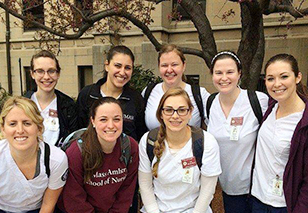 UMass Amherst College of Nursing alumni are working around the world and in every specialty. We are proud of our alumni and we want you to have the opportunity to show your support of UMass Nursing. We offer a variety of ways for you to show your enthusiasm for the college, ranging from alumni networking to giving opportunities.